This year the Home and Twilight Garden tours in Jefferson are May 3rd and 4th, 2013. The homes are on tour both days from 11:00 am until 4:00 pm. The Twilight Garden Strolls are the same days from 5:30 PM until 7:00 PM. All the houses have fences and gates which fit with the theme the Jessie Allen Wise Garden Club chose of “Inside the Gates of Jefferson”. The homes range in building dates from 1851 to 1911. David and I were asked to put our house on the tour this year, after thinking about it we said yes. We are excited but a little nervous; I imagine that is all part of the thrill of the Pilgrimage season. 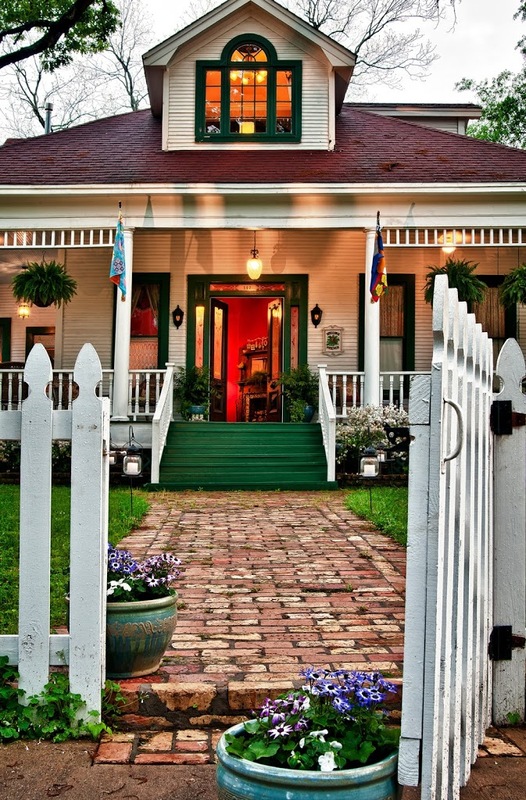 We really hope that everyone likes our home, the White Oak Manor bed and breakfast and Jefferson TX as much as we do. Since our house was built in 1911 which happens to fall in the Edwardian Era we have chosen to dress in that period of clothing. David is going just a little bit rogue though and I’m not letting the cat out of the bag on his outfit, you’ll just have to stop by to see it for yourselves. Tickets for the Home tours are $20 per person; you can buy your tickets at the Marion Co. Chamber of Commerce or the Excelsior House Hotel. I’m very excited about the Twilight Garden Stroll this year, we are seeing so many beautiful yards being spruced up for the season. Taking the stroll is a great way to wind down from all the activities of the day. Be sure to see them all while you’re in town for the festivities. 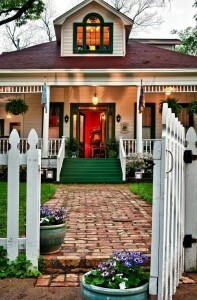 This entry was posted in Spring Events, Tour of Homes by Tammy D. Bookmark the permalink.